Mendoza is a charming city with a small-town atmosphere. The friendly locals, superb setting and gastronomic delights make it a perfect vacation spot with something for everyone. 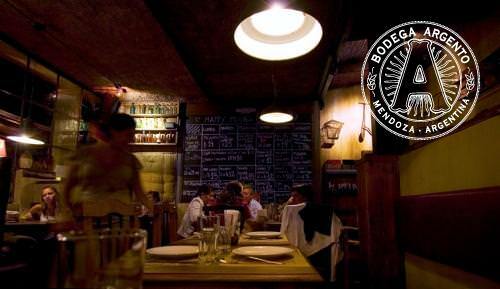 Born and bred in Mendoza, I’ve spent my life keeping track of all the developments in the Mendoza food and drink scene. 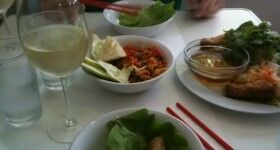 Some of my favorite restaurants, cafes, and bars in town are internationally renowned for their gourmet cuisine and fine wines; others are lesser-known favorites frequented by locals who appreciate quality cooking in a welcoming atmosphere. If you have any favorite Mendoza restaurants or bars of your own, or you know of any special places to eat and drink in the area, please let us know about them in the comments at the bottom of the page, and we will add them to our map. One of the local´s favorites when it comes to meat. 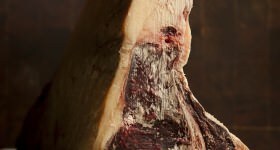 For a fixed price you can eat every kind of meat, and great selection of fresh salads. Within an enchanting atmosphere on its terrace during summer evenings, the restaurant has a menu to please almost every taste; food is of the best quality in town. Tapas-like option to accompany the great wine list. 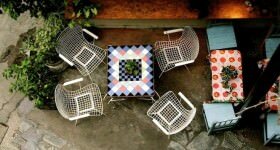 Located in an old colonial style house, the interior has been exquisitely decorated with design furniture. Modern and sophisticated, the best sushi in town is conveniently located. Reservations are strongly recommended as it fills up early. Here the star is the wine, which can be enjoyed on its own or with simple food to match. Simple varied international dishes and friendly young servers. Don´t miss the desserts — they are simply delicious! First class, local and international cuisine under the supervision of renowned chef Francis Mallman. Best pub in town, after midnight everyone dances until dawn. One can literally ask for any drink — they´ll serve it! 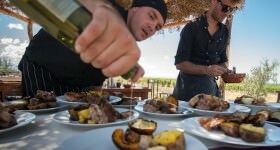 Typical Mendocinean food, great live music and an outstanding list of wines from the region. The name most locals will say when asked where is the best BBQ in town. Steak and brochettes (skewers) are the specialities. 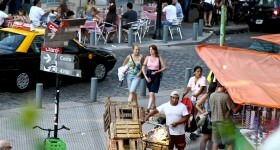 Good variety of dishes on the bustling Sarmiento Street. A great oppotunity to discover some rare boutique wines from the impressive list. 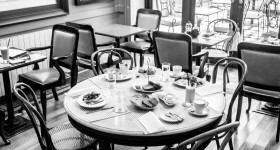 French style food, good wine list and smart atmosphere. Its garden is a perfect escape during hot summer evenings. The classic ice cream shop of Mendoza located on elegant E Civit Av, dont miss the Malbec or Torrontés ice-cream. Great “lomitos”, a steak sandwich that shouldn’t be missed during a visit to Mendoza. Don’t forget to order fried potatoes, they are something unique here. Hand crafted Argentine beers, nice music and good dishes. Trendy, and lively, you are sure to have fun here. Delicious dishes, bustling in evenings. 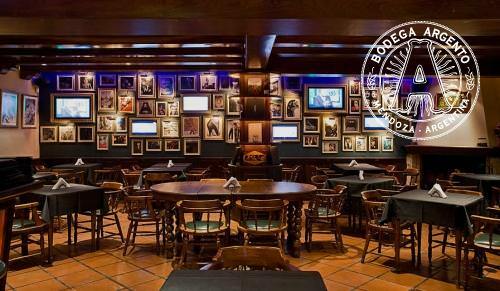 Music lovers will surely enjoy this place. Real Spanish tapas at this small restaurant are tasty and reasonably priced. Best Spanish omelet in Mendoza! “Terroir Cuisine”, traditional recipes with a modern twist, the menu is changed with the season to offer fresh ingredients. Mouth-watering grilled meat cuts, funky atmosphere. Don´t miss the restroom decoration! All-day coffee, pizza and tapas – Rocket (arugula) pizza is just like in Italy. The best new restaurant in Chacras de Coria, with an extensive menu of unexpected delicacies and a stellar wine list. 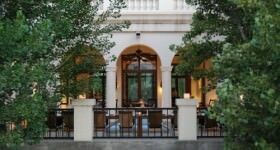 Beautifully decorated with numerous rooms and surrounded by elegant gardens for outdoor dining. Smart drinks and tasty dishes served in a delightful Chacras de Coria garden, there is a menu that covers almost every taste. Great Mexican food served with Margaritas in the heart of Chacras de Coria. The six-step menu designed by Nadia Harón, Chef and owner of the restaurant, combines different cooking cultures that coexist inside the chef’s mind. The restaurant does not offer a proper wine list. There is a desire to promote sharing wine experiences by allowing customers to bring their own bottles, under the corkage concept. Huge pizza portions, conveniently located at the entrance to Chacras de Coria; they also deliver if you are staying in Chacras and decide to enjoy a light dinner by the swimming pool. The Italian restaurant in Chacras de Coria, smartly decorated. Great coffee, chocolate and ice cream, two blocks away from Chacras Plaza – Open all day. Outstanding Arab cuisine, with advanced reservations only. Arguably the best ice-cream in Mendoza – Increadibly tasty light ice cream flavors! 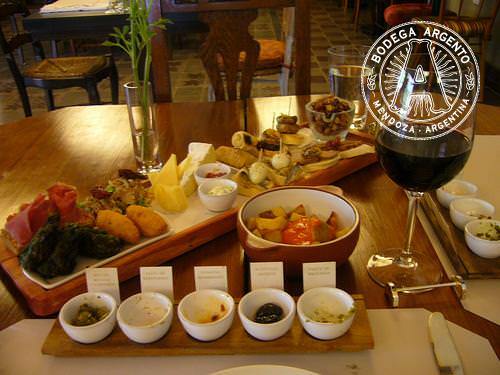 Excellent local tapas in a charming old colonial house, you can bring your own bottle or enjoy a great house wine. Gourmet cuisine made of local specialities – don’t miss the art work by Roggerone, a successful young local painter. A classic when it comes to good food, impecable service and reasonable prices. Excellent ice cream, a good break from shopping – You can also enjoy a coffee or beer. Top gourmet cuisine of six dishes – Open mid-day only. Great fish and seafood – Open evenings only. Me pueden recomendar una agencia de viajes para excursiones en mendoza? vivo en Canada y viaje con mi marido en Noviembre. Y si saben de un buen hotel, barbaro! Hola! 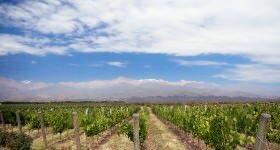 Como agencia puedo recomendarte a http://www.aventurawine.com/ . 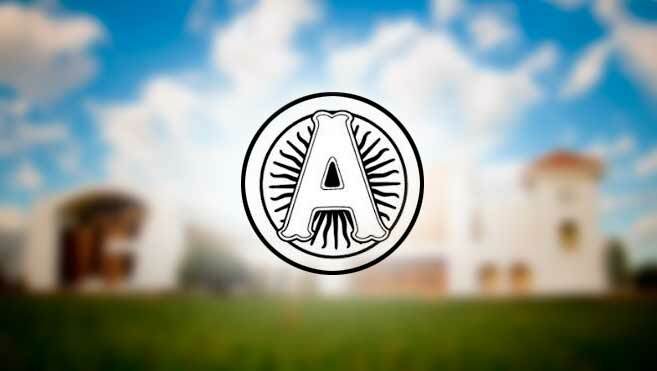 Ana y Eugenia organizan tours de primer nivel a precios razonables. 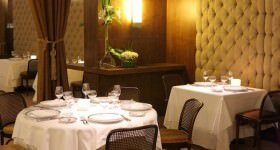 En cuanto a hoteles, en nuestro sitio podrías visitar la parte de travel en nuestra página web https://therealargentina.com/the-best-hotels… . Esperamos que tengas un viaje maravilloso! We ate an AMAZING asado at the La Aldea Parrilla Sandwiches on Aristides Villanueva #495.The meat was tender, juicey and you could tell that it was very good quality. Apart from that our waiter Tito spoke fluent english, gave us excellent service and recomended us a fabulous wine without us even having to ask him. I would tell everyone about La Aldea and about our waiter Tito. We will be back for sure!!! Sounds fantastic, Ariadna… thanks for the tip! Recomiento Tristan Barraza ( http://www.tristanbarraza.com.ar ), buena parrilla, no es muy caro y la carne es muy buena. Paula, les recomiendo Filippa café…Un restaurante-café en Chacras de Coria con un ambiente muy bien cuidado, excelente calidad y servicio.